We will review now the main features of the survey software tool that CheckMarket offers. 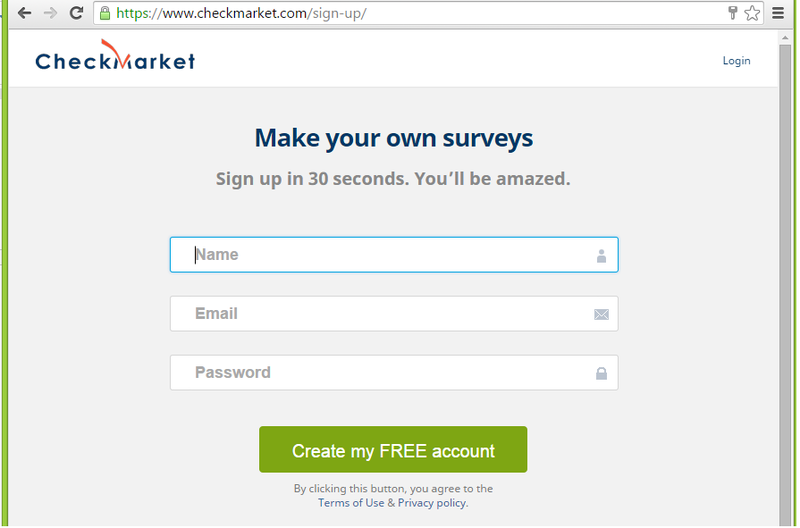 Signing up for a free trial of CheckMarket surveys is very easy and only takes a minute. A confirmation email is received shortly and we are ready to create our first survey. Actually the single survey, as the free trial version of CheckMarket only offers the possibility to create a survey, send e-mail invitations, collect responses and analyze the results. Trial surveys are limited to 25 respondents. However I think it should be enough to demonstrate the capabilities of the software. 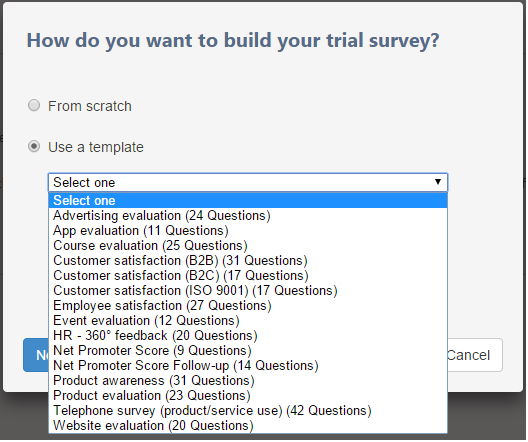 When you want to create a survey, you have the possibility to create a survey from scratch or choose from one of the existing templates. The survey templates are quite complex. Some of them have over 40 questions. We will start to create a new blank survey. 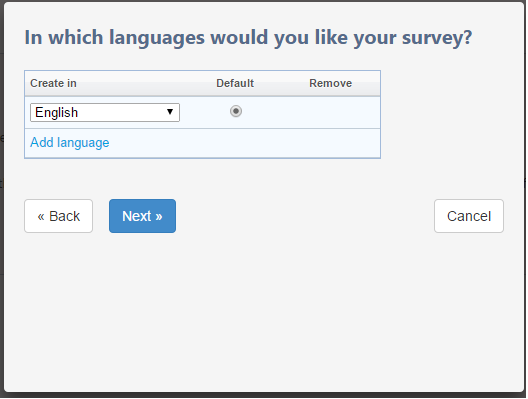 Clicking on “Next” brings us to the next step where we can choose the languages that the survey will be created in. There are over 40 languages available. We will only select English for now and on the next page the survey title is required and we are ready to design the survey questions. 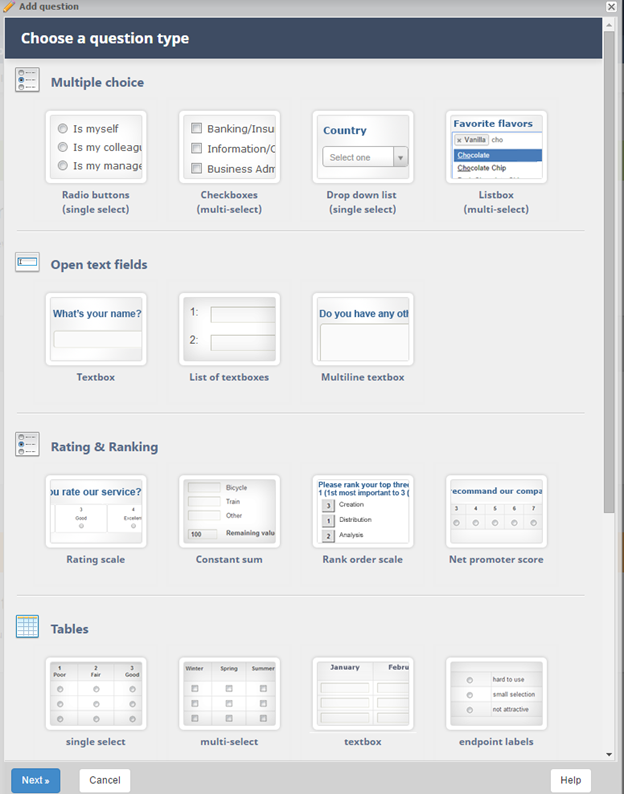 The survey editor looks nice and simple. The thing that I like the most is that it fits the entire page width and I can take advantage of the large computer screen that I have. The survey is already prefilled with 3 pages: a start page with a welcome message, an internal page where we can start adding our questions and a thank-you page with a message. The messages from the start and final page can be customized. The start page can be removed completely. We will now start adding questions to our survey. CheckMarket offers a lot of questions types. You also have the possibility to copy a question from one of your existing surveys. A nice thing, each question type has a short example where you can see what this question type looks like. You can also make the question mandatory or not with a single click without having to leave the page. The next are quite common features that most survey providers offer: edit, delete, copy, move question. After adding the questions we are ready to preview the survey. 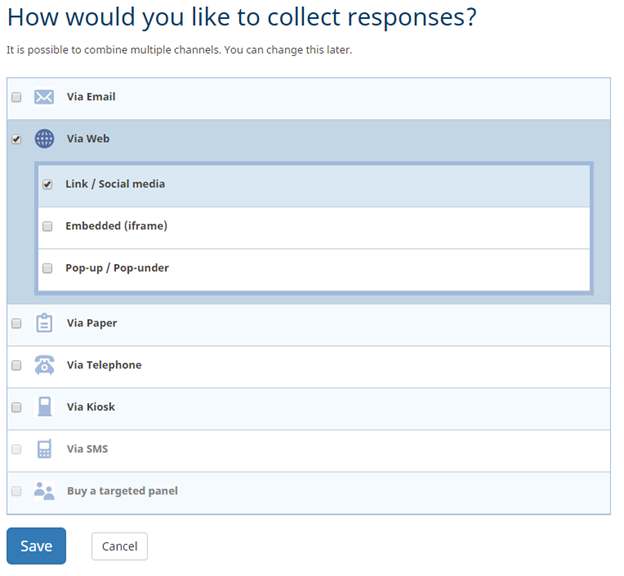 We will just use the “via web” option for now, where we can further select link, embedded or popup survey. Set response options, limits and others. One of the nicest features that we found here is the possibility to set automated alerts. 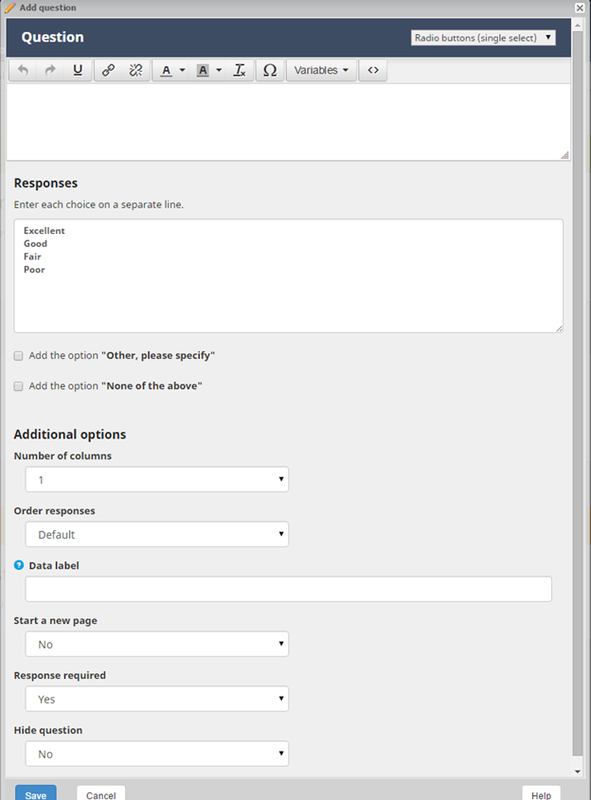 This enterprise-feedback feature allows users to be notified if respondents answer a certain way. It can send an e-mail, text message, direct tweet, or call another API. 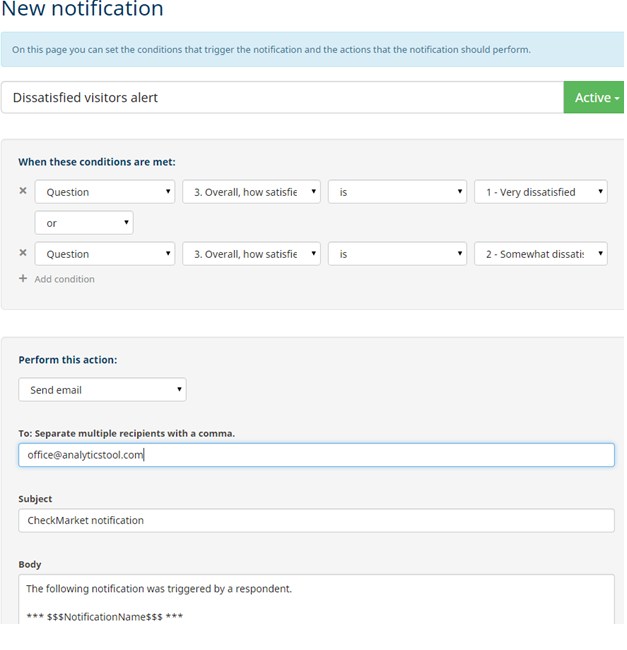 For example, you can have alerts that create a help desk ticket for unsatisfied respondents. The alert can even include another survey link for the person doing the follow-up to fill-in about how the alert was handled. We have created an alert because we wanted to receive an email if our respondents answer that they were not satisfied with our site in our question 3. The summary report allows easy filtering. 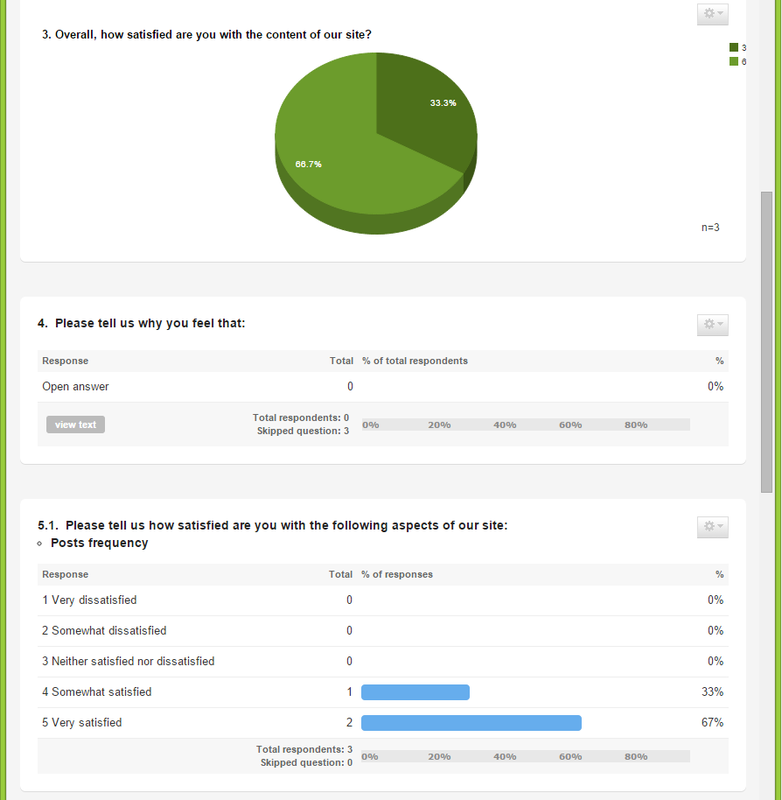 You can just click on a row to include in the report just the respondents that selected that answer. You can also filter by date or completion type. 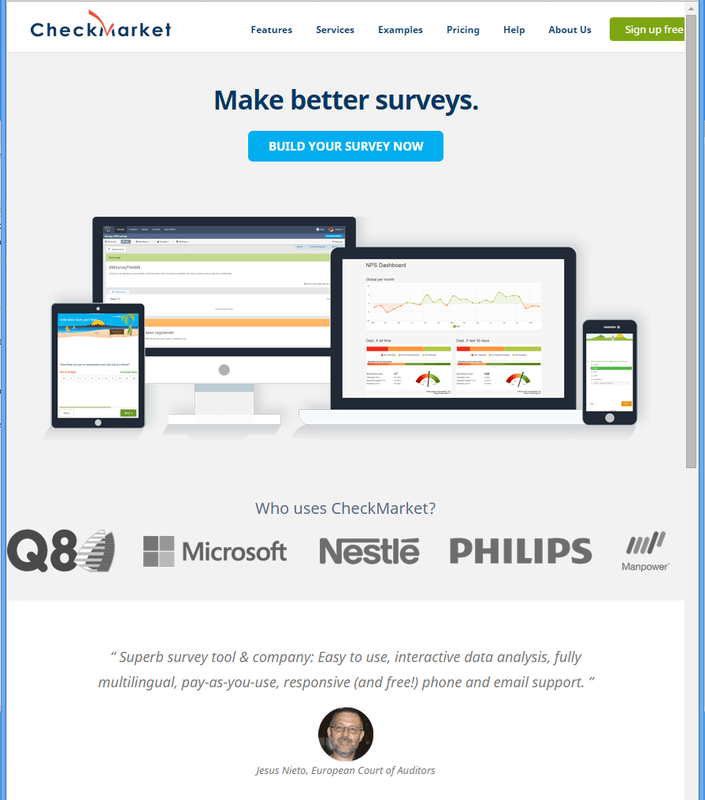 Overall, CheckMarket looks like a very powerful online survey software that falls into the enterprise survey software category. Definitely it’s not for students and small companies looking for free survey software. One thing that should be appreciated about CheckMarket is their transparency. You can get price lists with all their services unlike many other enterprise survey software tools that encourage you to contact them to find out how much they are charging. 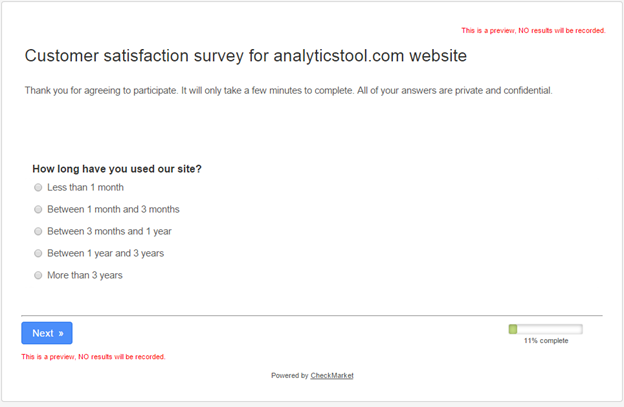 For more details about online survey software and survey software reviews, visit http://www.analyticstool.com/.